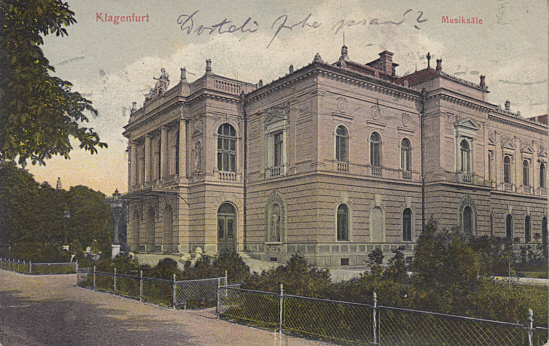 Concert hall and conservatory, built 1900 by Leopold Theyer. Originally known as "Musiksäle". Destroyed by bombs in 1944. Subsequently rebuilt with major alterations. 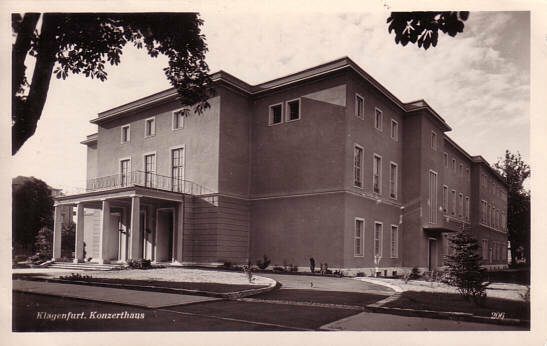 Conservatory re-opened 1947, concert hall re-opened 1952. 1995 extension by a new storey for the conservatory. 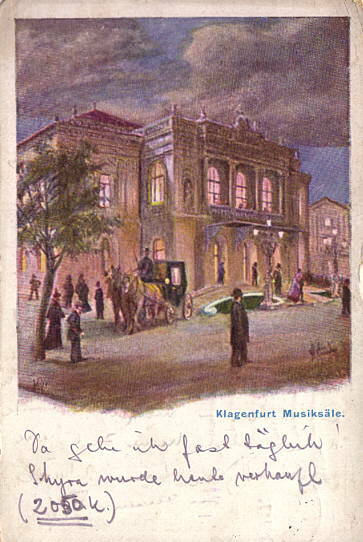 Front Text: "Klagenfurt - Musiksäle"
Reverse Text: "Klagenfurter Musiksäle, erbaut von der Kärntner Sparkasse 1900, nach Plänen des Prof. und Architekten Leopold Theyer mit einem grossen und kleinen Saale, deren geschmackvolle und künstlerische Ausführung hervorzuheben ist."